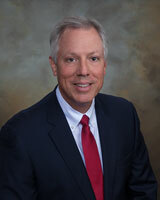 Robert L. Olsen - Tampa Full-Service Law Firm | Allen Dell, P.A. Bob Olsen is a shareholder with Allen Dell, where he represents clients in commercial litigation & transactions, and trusts & estates litigation. Mr. Olsen has over twenty-five years of law practice experience, with extensive arbitration, jury, non-jury, and administrative trial experience. Mr. Olsen is admitted to practice in both state and federal courts, and has tried cases in Florida as well as California, Georgia and New York with a focus on complex commercial and trusts & estates matters. Mr. Olsen also provides advice & counsel in commercial transactions, and has prior experience in corporate financial management and commercial banking. Estate planning issues, including will contests, trust challenges and other fiduciary based matters. Clients include high wealth individuals seeking protection of their interests in estate matters, financial institutions serving as Trustees, and other individuals or entities serving in various fiduciary capacities. Most every aspect of business litigation, including commercial and government contract disputes, UCC matters, real estate transactions, business acquisitions, and closely held corporate/partnership disputes and dissolution actions, including appraisal rights and merger challenges. Advice and counsel regarding commercial transactions, including contracts and lending facilities, with particular respect to dispute avoidance strategies. Clients have included national and regional industrial corporations, and consumer service entities, including banks, healthcare providers and insurers. AV® Preeminent peer review rated by Martindale-Hubbell, the highest available mark for professional excellence from Martindale-Hubbell’s Peer Review Ratings. Recipient of the Judge Leon Hopper Award by the Bankruptcy/Commercial Litigation Section of the Alabama State Bar. Chosen to speak to various organizations regarding litigation practice, including the Association of Corporate Counsel, and the National Business Institute.